Dodge Data and Analytics, the construction industry's information and forecasting "bible" released a November 6th report with an encouraging picture. This construction industry report, known as The Dodge Construction Outlook 2015, predicts that construction projects will increase by nine percent this year, for a total of $612 billion in revenue. This is a definite improvement over the five percent improvement seen in 2014, with an estimated revenue of $564 billion. That is fantastic news for the majority of construction companies. There are a couple of reasons for the predicted increase. One is the slowly but surely improving economy. Another is the loosening of bank lending restrictions. Firms shouldn't expect to see big increases in Federal construction projects, but Dodge is anticipating increases in state projects. And investors are once again putting money in real estate development. So where do the experts think these increases will come from? Commercial BuildingThe biggest increases here are predicted to be in office construction, followed by hotels and warehouses. Increases in retail construction seems less certain. Institutional BuildingChanges in bond levying are expected to result in increased construction of both schools and hospitals. An overall increase of nine percent is expected. 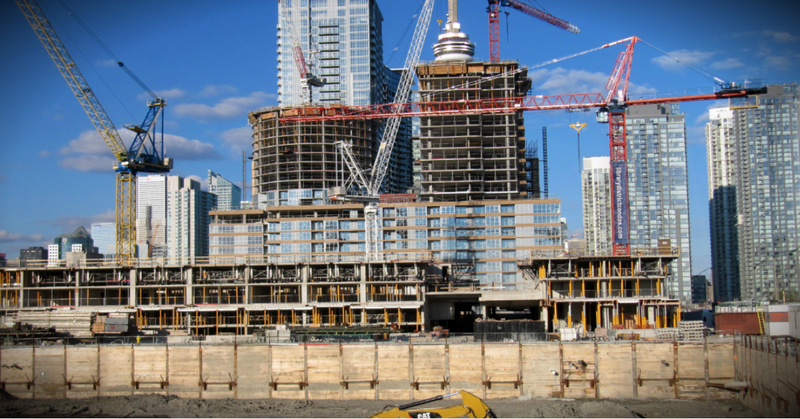 Residential BuildingHow can a forecasted 700,000 new homes and a attendant $15 billion in revenue be bad news? It's certainly not, but it's been better in past years. The financial struggles of millennials has caused a significant slow down in the new home buyer market. Multi-Family BuildingProjects here will be up nine percent, but a maturation and slow down are expected in this market as well. Public Works ConstructionProjects are expected to increase here by five percent. Many of these will be bridge and highway repair, funded with state money and partnership grants. Electric UtilitiesA number of utility construction projects, begun in 2011-2012, are now on line, causing a reduced need for new ones. A nine percent decline is expected here. Manufacturing plant construction is likewise predicted to see a downward trend, due to the export of that industry overseas. While we will of course have to wait for 2015 to arrive to see if Dodge's predictions are correct, their track record is pretty good. Which means that construction companies should plan on being even busier than they were in 2014. To help them handle these increased workloads, in addition to more employees and equipment, administrators and supervisors should consider digital assistance. Raken remains the industry leader in providing construction management software for daily reporting via devices. This not only allows staff and clients to see professional looking reports more quickly, the time saved in preparing them frees staff to seek more new projects.